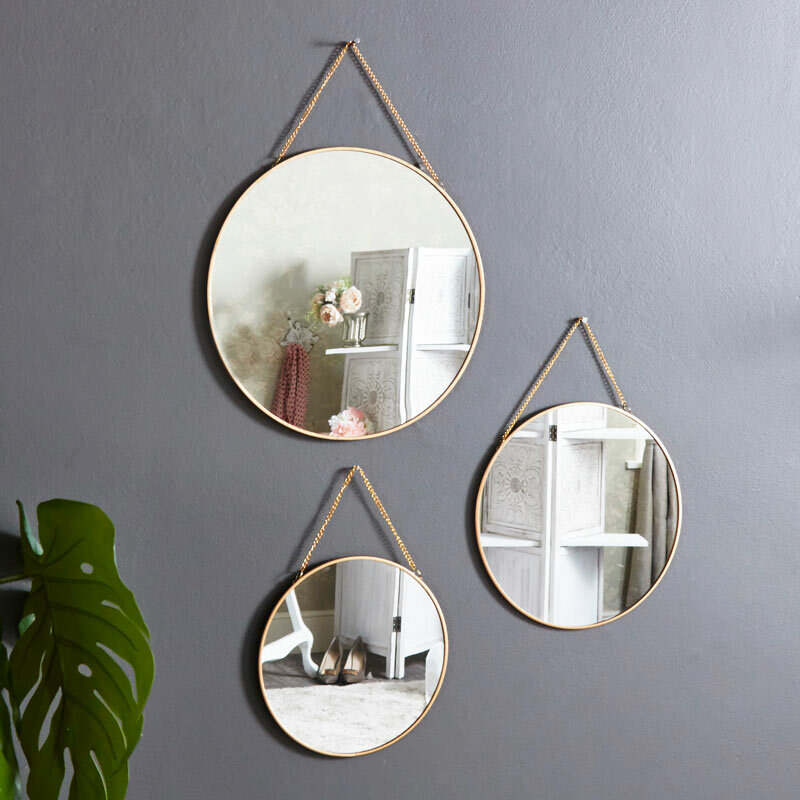 This set of 3 mirrors are just what you need to add a modern, contemporary feel. Framed in a vintage gold and suspended from a gold metal chain. Perfect for displaying in the living room. In 3 assorted sizes, these mirrors will create a stunning display on the wall. Use in the set or individually. The gold frame highlights the mirror beautifully. We have a fantastic selection of wall mirrors that will add just the look you want for your home. 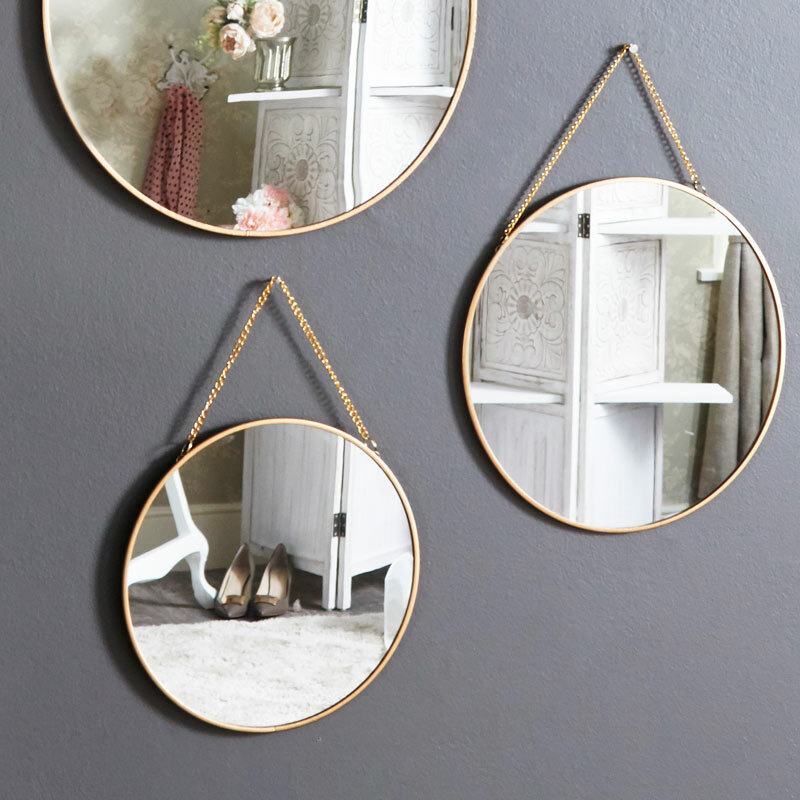 This set of 3 mirrors are just what you need to add a modern, contemporary feel. Framed in a vintage gold and suspended from a gold metal chain. Perfect for displaying in the living room. In 3 assorted sizes, these mirrors will create a stunning display on the wall. Use in the set or individually. The gold frame highlights the mirror beautifully. We have a fantastic selection of wall mirrors that will add just the look you want for your home. 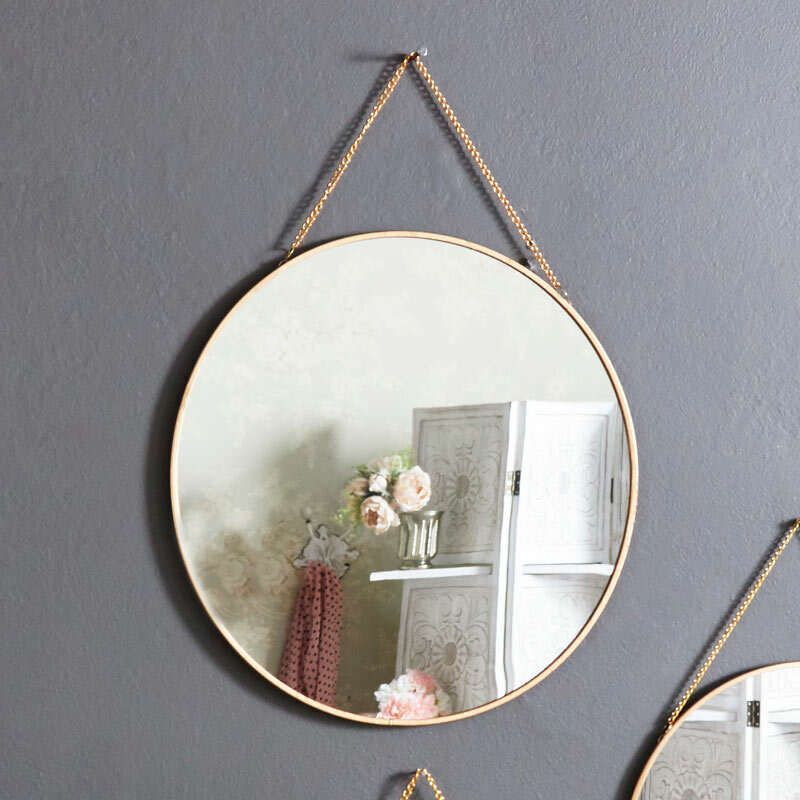 Metal framed in a gold finish, the mirrors are easily wall mounted from the gold chain. Our mirror range is the best around, with so many colours, styles and designs to choose from. With wall mounted, freestanding and table top, you will be sure to find just the mirror you want for your home.